Handcrafted in small batches using only five ingredients. Our Rustic Aftershave is designed to tighten, moisturize, & soothe your skin. It also pulls double duty as a cologne strength aftershave! Pairs perfectly with our matching shaving soap! This fragrance was designed to take you to the Swiss Alps and the sparkling streams of water of the spring snow melt. Crisp and fresh, this is a fantastic fragrance. Inspired by Creed Silver Mountain Water. Formulated for men with normal to oily skin as well as problem skin. Astringent alcohol cleans, tones, & tightens your pores as well as kills those nasty microbes. EdC strength fragrance will leave you with a pleasing scent throughout the day. 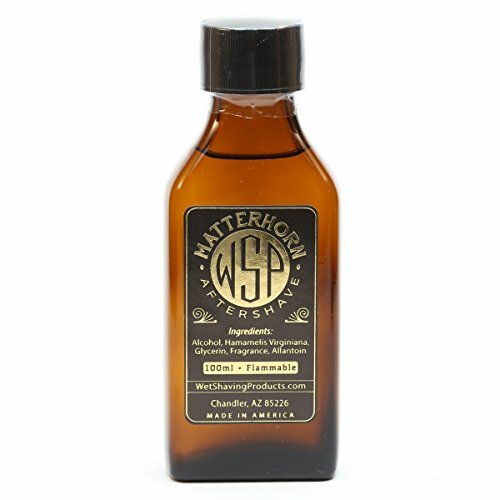 This entry was posted in Wet Shave and tagged 100ml, Aftershave, Cologne, Matterhorn, Rustic, Splash, Tonic.